As I was finishing my boxing class, Mike was wrapping up a guys wrist and asked if I could do it for him. The gentleman told me he had a kid in highschool who was suffering from knee pain for a while. He was playing football at Waubonsie Valley HS and even in the post season, still suffering. 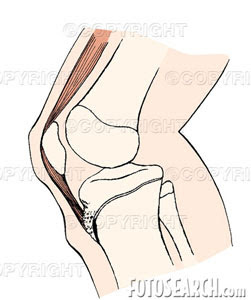 Immediately, thoughts went to a diagnosis of Osgood Schlatter Disease. Sounds real fancy but essentially a growth issue. I asked dad if he had a bump to the tibia, he said yes, then asked if he grew few inches in the last year and he said yes, finally asked if there were any major injuries and he said no. If there is enough "pull" from the quad during repetitive sprinting, the quad, patellar tendon complex will lift the growth plate up off the long bone and result in a "bump" to the knee. Usually very painful to touch and the first thing that hits the ground when kneeling. Even in the case of the nonathlete, if there is no sprinting, the quad and patellar tendon can just be overly tight, constantly pulling on the growth plate until it also lifts it up causing the "bump". The older athlete will go through the same forces with sprinting or overly tight quads but since there is no growth plate, this overuse injury usually ends up causing jumpers knee or patellar tendinitis. The weak link in the adult athlete is no longer the growth plate but now the patellar tendon itself. Immediate treatment is hold off from further sprinting or jumping, ice therapy, antiinflammatories, quadriceps flexibility, and sometimes a "chopats strap" (many gymnasts where this) helps. Does this stop you growing. I have it on both legs. It stoped hurting so it should be fine? No, most young people continue to grow and mature to their potential. The problem is unnecessary pain or holding back on activity and exercise that would have been great to experience. A physical therapist is a must.. to design activity that would embrace less tension on the tibial tuberosity ....and probably help accelerate to a better level of functioning.